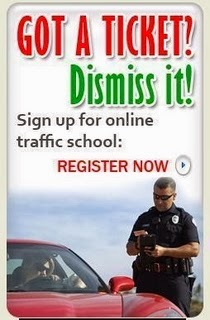 Traffic School Q&As: Is it illegal to drive with headphones? Most drivers do have a question in their mind, Is it illegal to drive wearing headphones or earplugs? because most of us use headphones while driving. Can we take Click Here to know more for headset traffic ticket (wearing earplugs while driving)? In some states, wearing headphones is perfectly legal; in others, it's 100% illegal; and in many states, the law is a little less clear cut—for example, in some states it's only legal to wear headphones in one ear, but not two. You are not allowed to have both earplugs in your ears, only in one ear or the other. Many headphones made for cell phones exist because you can stream/play music, video, the radio, etc. from your phone. However, the law is very clear that while operating a vehicle, you are not allowed to have headphones over both ears unless you’re hearing impaired. Since every state do have their own local laws and laws differ from state to state, Below are State laws: Is it illegal to drive wearing headphones? In California » It is illegal to Wear earplugs or headphones while driving regardless of the age of a driver unless you’re hearing impaired. Usage of all hands-free and handheld cell phones are prohibited and texting is banned while driving in California. Anyways, as we have other options, you can use a Bluetooth wireless device or wired headset or a turn on the speaker of your phone. Conversations are IMPORTANT, so is your LIFE. Never use mobile phone while driving. If you’re caught listening to music on your iPod, you can be cited for a ticket. You can use one side of the headphones and one side of the ear open to vehicles around you but not both. (a) A person operating authorized emergency vehicles, as defined in Section 165. (b) A person engaged in the operation of either special construction equipment or equipment for use in the maintenance of any highway. (c) A person engaged in the operation of refuse collection equipment who is wearing a safety headset or safety earplugs. (e) A person using a prosthetic device that aids the hard of hearing. But Deaf drivers are allowed to drive in California. In Texas ► Its perfectly legal to use headphones while driving. In Washington ► It is against the law, you may get easily distracted and may not notice what's happening around you. In Florida ► Its illegal and you should not wear headphones or earplugs while operating a vehicle. New York ► Illegal to use headphones while driving. Massachusetts ► Illegal as well. Georgia ► Its Illegal to wear headphones or earplugs while driving. Arizona ► Its legal, there is no law concerning headphones. Arizona makes driving with headphones illegal only for school bus drivers and people who transport children for licensed child-care facilities, according to AAA. # Using headphones or earplugs in only one ear. This is allowed in California, New York, and Ohio, among other states. # Hearing aids. California, Florida, and Minnesota, for example, allow the use of devices that improve a driver's impaired hearing. # Headphones built-in to protective headgear. This generally applies to headphone-equipped motorcycle helmets, which are allowed in California, Illinois, and Louisiana, among other states. There are some other exceptions -- such as for emergency responders, refuse collectors, and highway and construction workers. If you're confused, consider consulting a traffic ticket lawyer who will know if driving with headphones is illegal wherever you choose to hit the road. Alabama ► Its permitted while operating a vehicle. Alaska ► Its not permitted while driving a Car. Arkansas ► There is no such law banning use of headsets or earplugs in both ears while driving. Delaware ► Its illegal to use headphones. Hawaii ► Its illegal to use headphones. Idaho ► No such state law restrictions on headset use. Illinois ► It is illegal to use headset. Indiana ► Its illegal to use headphones. Iowa ► Its illegal to wear headphones or earplugs. Louisiana ► Its illegal, except for a motorcycle operator who has a headset in his or her helmet. Its prohibited ► in Maryland, Minnesota, Mississippi, Ohio, Pennsylvania, Rhode Island and Virginia. Its permitted ► in Kansas, Kentucky, Maine, Michigan, Missouri, Montana, Nebraska, Nevada, New Hampshire, New Jersey, North Carolina, North Dakota, Oklahoma, Oregon (with some local exceptions), South Carolina, South Dakota, Tennessee, Utah, Vermont, West Virginia, Wisconsin and Wyoming as well. Driving is a serious deal of responsibility, and a privilege. So drive safely on roads. While driving, one needs to be aware of your surroundings and concentrate on the road. Drivers need to be able to hear approaching sirens and other warnings, such as a car honking, and ear buds can prevent that. The ticket lawyer are needed to those who have violations.